I need to write a paper conforming with the blue book standards. Has there been any move on creating packages that support blue book-style formatting and citations? Or should I get ready to do a bunch of work on my own bibtex and article classes? If the latter, are there modern alternatives to bibtex? Are there any specific modern approaches to customised article classes? I don't know of any Bluebook style, and I think I would if it existed. Given the notorious complexities of the Bluebook it would have to be a biblatex project, and it would be quite a project! In the common law world, I know there is a written-and-working-but-unreleased version of the McGill style for Canadian authorities, there's a partially compete Australian style, and there's an English style based on OSCOLA, which is on CTAN. None of them is Bluebook conformant. The one that I think is closest to complete (which is OSCOLA -- but (disclaimer!) I wrote it so I suffer parental bias) might provide a start -- but it would only be a sort of "inspiration" start, rather than a "much of the legwork is done" start: also it's hardly a stable package. Implementation of a subset of the Bluebook (say books, articles, cases and perhaps the Constitution and USC) wouldn't probably be too much of a struggle. Implementing the whole thing would be a mammoth task. How mammoth would depend on how far you sought to automate things like abbreviations, cite signals, citation order and the like. Is there a way to move the “year” to the back of a footnote citation, placing the “page” right before it? Is there a citation style for the “Canadian Guide to Uniform Legal Citation” aka McGill Guide? 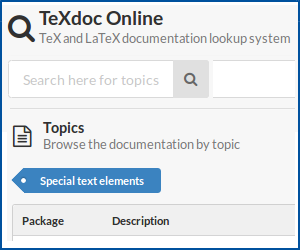 Compatibility of bibtex and biblatex bibliography files?